Travels of the Agnew Family in the "Dog House" 2006-2007: Ride em cowboy! 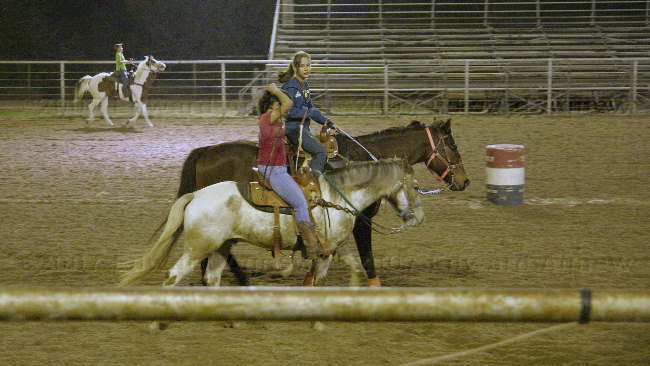 In searching the internet for local attractions I found the Sheriff’s Posse Roundup. 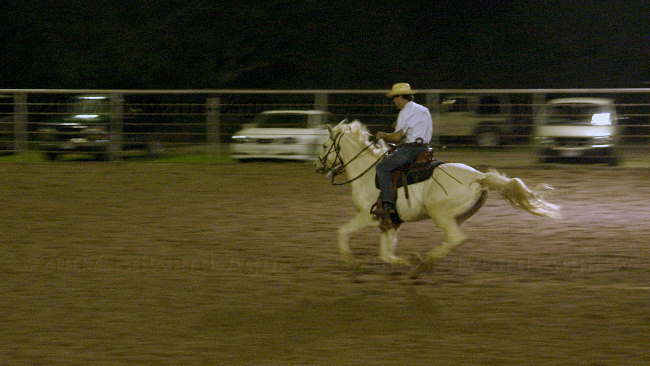 Every Saturday night the park runs practice events and the public is invited to come and watch. As I’ve never been to a rodeo we decided to go and check it out. There were three age groups that covered little kids up to adults ---- one five year old sat on his horse and someone led the horse through the course (the five year looked like he was having a great time).